1. Grab the computer and open Word or Photoshop or whatever programme you have that can make the whole screen bright white, make sure the brightness is set as high as possible. 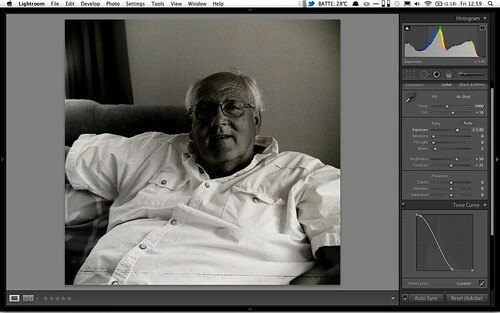 If you can do this with a laptop try to find a room you can make as dark as possible to reduce reflections and glare. I did the ‘scanning’ in my bedroom on the brightest day of the year so far but with the curtains closed it turned out okay. 2. Take a photo of the blank white screen and set this as your custom white balance in-camera. 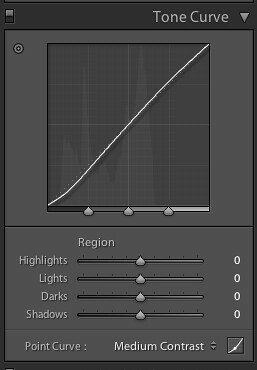 If you can’t/don’t know how to do this don’t worry, you can set a custom white balance in Lightroom later. It is best to do it at this stage though. 3. Either hold the negative and make a holder for it that will place it just in front (but crucially not touching) the screen. I made sure my hands were nice and clean and just held the negative myself . 3. 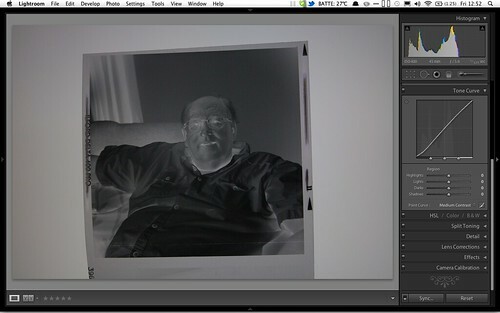 Take a photo of the negative making sure to include the whole frame. This will let you crop the frame in or out as you like later on. I received some scans which had been cropped by the developers and I was mightily disappointed as I find the film markings often improve the overall look of the print, especially with Lomo style shots. Take a range of exposures too. 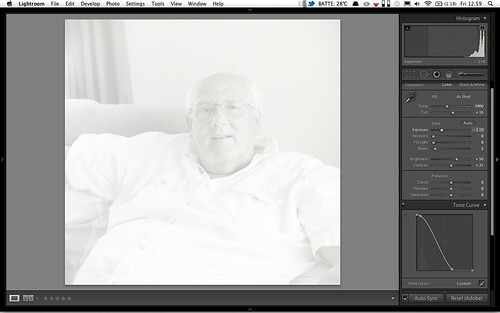 you’re aiming to get the white screen to be over exposed but the negative to remain properly exposed. Again you can (and will) fiddle in Lightroom later on, but its quickest if you can get a good exposure at this point and you’ll get less noise in the final scan. 5. 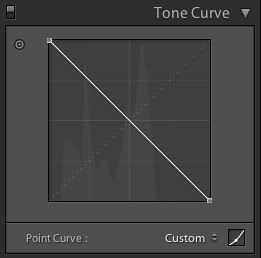 Go to the Develop module and scroll down to the ‘Tone Curve’ panel. 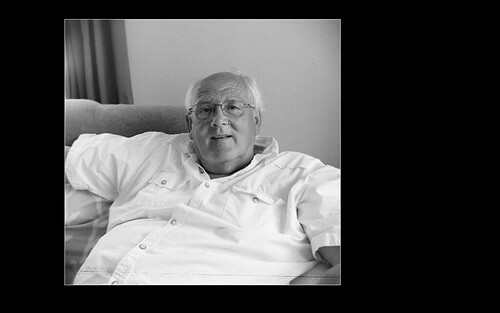 You’ll notice its default setting is to include sliders, probably at medium contrast. 6. Click on the little box on the bottom right and you’ll see little the sliders disappear and little nodes pop up on the tone curve. 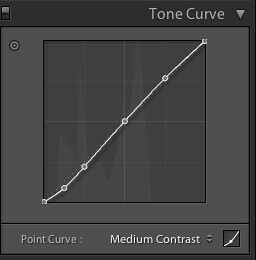 Your image should now look like a normal(ish) photo, but it’ll probably be a little washed out and in need of some fine-tuning. 8. Now using whatever selection of tools you prefer (I use the Tone Curve Targeted Adjustment Tool) play with your image until it looks how you want. A good place to start is making what was the white computer screen at the sides of the image black as in the original shot it was over-exposed here it should be under-exposed. 10. 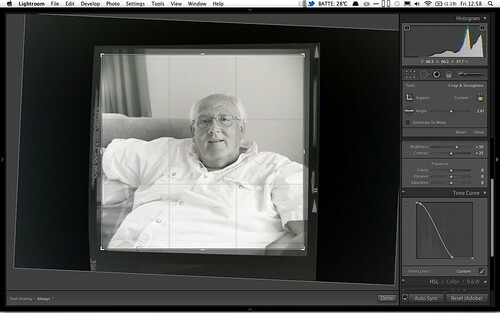 And there you go, a film negative, ‘scanned’ and processed and ready for printing or uploading or what ever you want! Colour works in much the same way although you’ll have to pay attention to the white balance a little more. 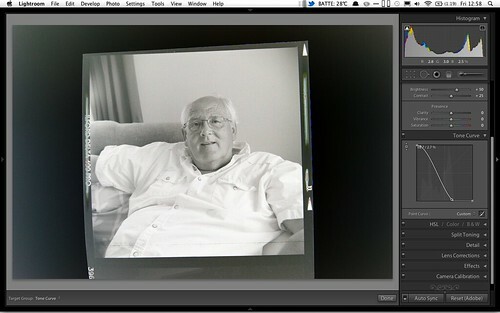 This technique works best with negatives that are properly exposed. 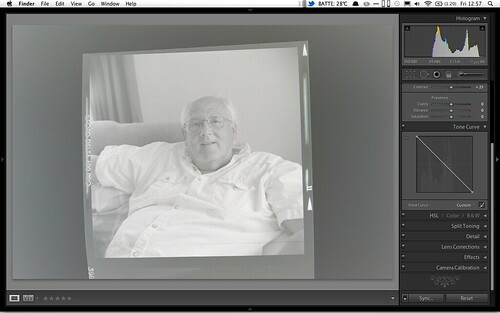 Its quite an art to recovering under-exposed images, as you can see by my feeble attempt here and here! Professionally scanned images from the same film, including the one used in this tutorial, can be found in my Flickr set here.